Mather & Platt (Asia) Limited act as agents for M&P (engineering) products in the Asia and Australia region as well as supplying a large range of food processing and food packaging equipment, oil and cosmetics. Products include Liquid Filling Machines and Rotary Solids, In-Line and Rotary Labellers, Capping Machines, Cartoning Machines, Corn and Vegetable Preparation equipment and Wrap-Around Case Packers. 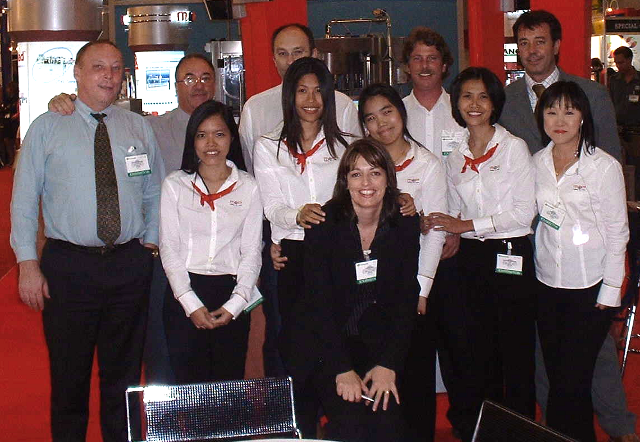 The Asia office (M&P Asia) was opened in 2000 and has proven extremely successful in the support of our existing customers all over Asia and Australasia, with satisfied customers in Australia, Bangladesh, Indonesia, Malaysia, Philippines, New Zealand, Singapore, Vietnam and Thailand who benefit from the local support, and after sales service. Mather & Platt (Asia) Limited are well placed, being an established company, to take advantage of the formation of the ASEAN Economic Community, bringing the benefits of a single market with free movement of goods, services across the region. For enquiries in Australasia and Asia please contact Frank Berry in our Bangkok sales office.